This rich cauliflower gratin holds its own when paired with hearty main dishes being served this time of year. Despite its simple assembly, it makes an elegant addition to a fall or winter dinner party menu. 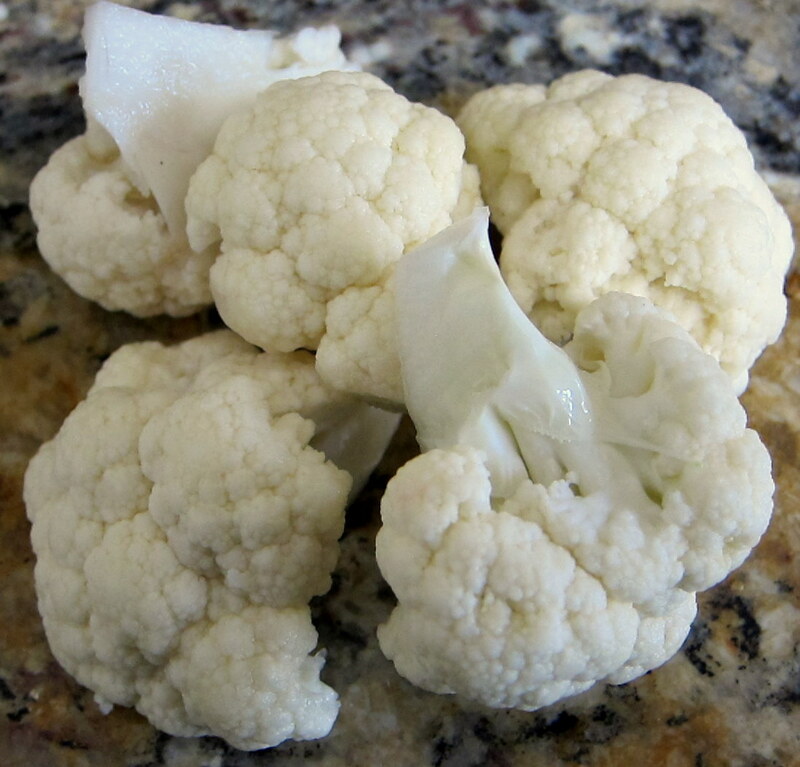 Cauliflower is my husband Larry’s favorite vegetable and I can anticipate his big smile whenever I serve this with our supper. 2. Cut the cauliflower into florets. Set aside. 3. In a medium-sized bowl, combine the three cheeses. Set aside. 4. In a flat baking dish, arrange the cauliflower florets in a single layer. 5. Sprinkle the cheese evenly over the cauliflower. 6. Pour the cream over the cauliflower-cheese mixture. 7. Season with salt, pepper and sweet paprika. 8. Bake uncovered for thirty minutes, until cauliflower can be easily pierced with a fork. Serve immediately. When our kids were younger only way they would eat cauliflower was with cheese sauce. Will make this and I’m sure they will love it now that they are adults. This is even better, honest…Did you see my winter in the garden post? Sounds great. I love cheesy creamy things. Comfort food all the way. Cheesy cream sauce is comfort on the plate. Love it. Yum, Liz. I love gratins and cauliflower is a favorite. I like the addition of blue cheese – that’s a nice twist! Sounds delicious! I love cauliflower! Yummy! It’s a wonderful time to revisit cauliflower(an underrated veggie), as they are so beautiful right now. Bought a gorgeous one at the farmer’s market myself last week that I will be playing around with.